Copyright Announcement: Audiotool.Net is a well-known and professional developer to digital video and audio software developing. 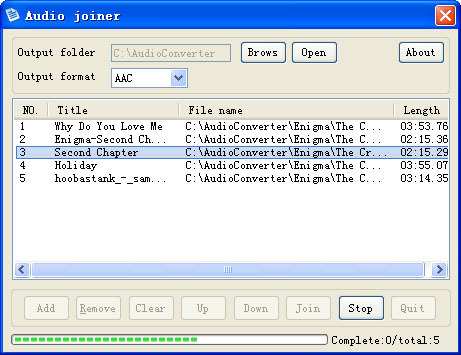 We developed Audio Converter series software involving mp3 converter,wma converter,aac converter,wav converter,ogg converter,mpc converter,flac converter,tta converter,wv converter,ape converter,tta converter,spx converter,ac3 converter,m4a converter, CD Ripper, cd to mp3, mp3 cutter, mp3 joiner, mp3 cd burner and mp3 recorder etc. Software devopled by Audiotoo.NET are copyright protected legally.